An Atlanta CF Research and Development Program grant will help Emory, Children's Healthcare and Georgia Tech translate discoveries into better therapies for patients. The Cystic Fibrosis Foundation has awarded Emory University, Children's Healthcare of Atlanta and Georgia Tech — the key components of a comprehensive Cystic Fibrosis (CF) research program in Atlanta “a grant to establish the Atlanta CF Research and Development Program (CF@LANTA RDP Program). The $1.8 million, four-year grant will enable the partner institutions and their investigators to expand their currently funded CF research programs and translate the results more effectively to patients. The CFF RDP grant mechanism was started in 1981, with the first award given to the University of Alabama at Birmingham. An RDP grant is a marker of excellence, as the strongest CF research programs in the country have received this support from the CFF. "We have been working to build infrastructure funding for the CF program for many years," says Nael McCarty, PhD, Marcus Professor of Cystic Fibrosis at Emory University School of Medicine and principal investigator of the grant. "The RDP mechanism will enable us to leverage the investments already made by Emory and Children's into a comprehensive CF research center." Together, Emory and Children's manage the second largest population of CF patients in the country. The overarching goal of the RDP Program is to promote interdisciplinary research into the biological mechanisms of CF and translate this new knowledge into therapies for this life-shortening disease. Initial work will focus on the approximately 660 CF patients cared for within the center's clinical program. "This is a very important success for Atlanta's CF research and clinical community," says McCarty. "Being recognized by the CF Foundation reflects years of effort to improve the quality of our long-standing clinical program, the major advances we have made since 2007 in building a world-class research team and doing important science, and our establishment of innovative educational programs that will ensure that this progress continues. We are very grateful for the institutional support and the support from our local community that has enabled us to establish and improve our program. "The RDP funding also will enable submission of more high-level and programmatic grant proposals to the National Institutes of Health. In addition, having an infrastructure grant such as the RDP will help us continue to draw new investigators from all around Atlanta into the CF research effort. The new knowledge that will come out of our team's work will lead to improved therapies for our patients," McCarty says. The team of CF scientists, physician-scientists, and engineers will use state-of-the-art approaches to (1) study patients, clinical samples, and animal models of CF/CFRD (cystic fibrosis-related diabetes) to identify changes in airway function that accompany disease progression, and (2) to test hypotheses about the disease and possible new treatments. The overall scientific theme for the program is "The Systems Ecology of the CF Lung." The new grant will enable researchers to study the complex environment of the CF lung by considering each component of CF as a member of a "community," explains McCarty. The team will apply the scientific principles of both systems biology and community ecology to CF to characterize the changes within each of the cell types that make up the community and the signals through which they communicate. This will help researchers identify changes associated with progressive lung disease and with the development of CF-related diabetes, the most common comorbidity associated with CF. The new program will build on the many investments that Emory and Georgia Tech have made toward taking systems biology approaches to understanding chronic disease states. 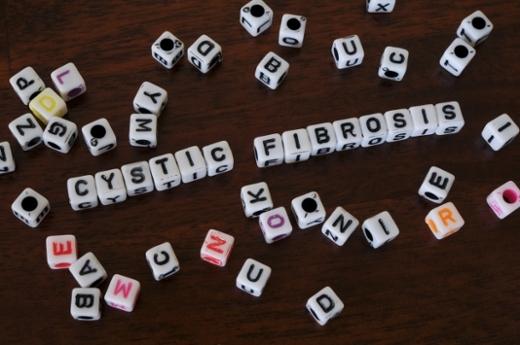 As a complex, multi-organ disease, cystic fibrosis is a prime candidate for benefiting from a systems approach. Systems biology will help the researchers understand how the components of the community interact and identify new therapeutic strategies that will be translated back to the patient. Arlene Stecenko, MD (Emory and Children's), Eric Sorscher, MD (Emory), Rabin Tirouvanziam, PhD (Emory), Seth Walker, MD (Emory), Ronghu Wu, PhD (Georgia Tech). For more information about the Atlanta CF Research Program, click here. For more information about the CF Foundation Research Centers, click here.